Agility CheckUp ™ is an evaluation study designed to support the development and assessment of teams' maturity in implementing agile practices and processes. In this team-focused assessment team competencies and processes are addressed with over 200 questions from 6 different perspectives. 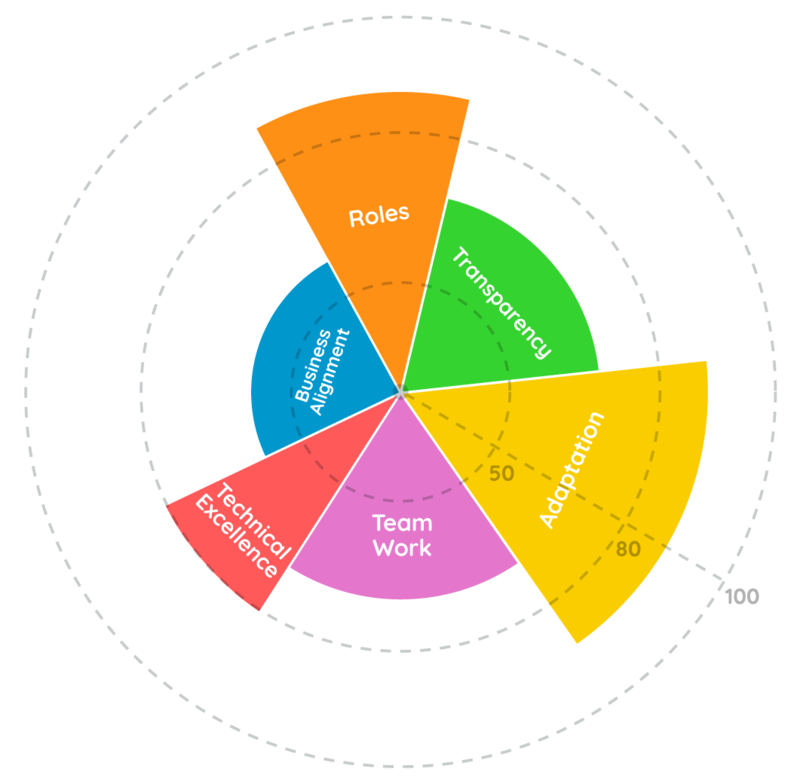 The purpose of this assessment is not to inspect the team but to allow the teams to oversee their own processes and discover the improvement points. AgilityCheckUp™ study is conducted under the leadership of a specialized ACM Agile coach, by holding workshop sessions with the team. The length and scope of the study may change according to the number of teams to be evaluated and the contribution to be made by the teams to this evaluation. In the end of the study, the respective evaluation results and improvement action suggestions are shared. Please contact us for implementing the AgilityCheckUp™ study for your teams.